Beginning my discovery of my abilities and spiritual transformation! Main › LifeLeap Café › Get To Know Everyone › Beginning my discovery of my abilities and spiritual transformation! Dale 1 year, 2 months ago. Hello everyone! 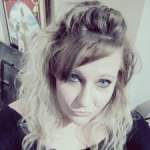 My name is Nichole, and I am new to this particular website, as well as Date himself. Just to give a quick intro and a little info about what I’m going through; I think first I would like to start by saying that I have been seeking and slowly transforming on a very spiritual level, and have all together been doing a lot of soul searching to figure out the answers to MANY questions, lol. I also, as of 3-4 days ago gained a position on a non-profit paranormal investigative team. I have always been very much drawn to the paranormal/spirit world and absolutely fascinated by it as well! With all of these new experiences transpiring and having so many questions popping up just the same, I felt as though I could use some added clarity and guidance to validate my path and set my mind at ease. Little did I know that when I spoke with Sunhee for only 9 minutes, that what she say would TOTALLY blow my mind! I mentioned my spiritual journey and a new job (although I didn’t tell her what it was at first), being told that i was assumed to he a light worker, amongst mentions of sensitivity and empathic qualities; I didn’t think that I would hang up having been told that my abilities are much more than I had EVER imagined them to be. She revealed to me that sue believed me to be a light worker and empath, ALONG with having intuitive, mediumship, healing, and I believe there may have been 1 or 2 more things she mentioned but was too dumbfounded to really process those, lol. I have always thought myself to possibly have some sort of gifts or abilities, but never to this extent. Now what?? How do I know she is not a fraud, and how do I test myself. She said that being thrown into investigating will show me where my abilities lie. Can this really be?? I’m blown away! Welcome to the LifeLeap Community. I’ve trained many people over the years to develop psychic awareness and abilities – college students, doctors, attorneys, house wives, construction workers, you name it. Anyone can do it – it’s just a matter or proper training and experience. This is usually just an “angle” to make themselves feel “special” and/or to make you feel the same way, so you keep needing them, so you have to keep paying them. Psychic and healing ability are a natural innate abilities which are available to anyone. It’s just a choice to develop these things or not. Some of this just acknowledge this and use it to help ourselves and others. Most people simply don’t, for various reasons – fear, ignorance, arrogance, laziness, rigid beliefs, etc. Science, including researchers at Princeton University, have already done extensive research to validate these kings of abilities, abilities which exist in everybody. Everybody has it. There are simple test which can be used to validate this. But to be able to use it effectively and control it, most people require training. These abilities are actually easy to develop. I could work with anyone over the phone, with some simple exercises, and blow anyone’s perception open to an incredible level – full blown psychic awareness, psychic influence, mediumship abilities, healing abilities, etc. We’ve done field studies, where we accomplished this easily with people – anybody, regardless of their training or ability. So opening the abilities is not the challenge. What’s challenging is integrating this change in awareness into your life, in a comfortable and stable manner. This is why we spread our training out, over a period of time. We give you the time and tools to get control over yourself, and your abilities. It’s about opening you up, without terrifying you! So be careful with other approaches which don’t give you the tools and understanding to manage the changes you are going through – I’ve seen several courses and classes which will open you up, but fail at helping you to manage your new level of awareness. So if you want to develop these abilities, get some proper training (we offer this here and there are other places where you can find this). Even if you are naturally experiencing abilities and awareness without training, training will help you to manage and understand these things. I’ve met a lot of “natural” psychics who just don’t have the control or precision needed in life.